The Court of Appeal has delivered an important judgment in R v Valujevs  3 WLR 109, on the scope of fraud by abuse of position under section 4 of the Fraud Act 2006 (on which see J. Collins, ‘Fraud by Abuse of Position and Unlicensed Gangmasters’ (2016) 79 Modern Law Review 354). The importance of ensuring legal certainty in drafting a general fraud offence was emphasized when the Fraud Bill was debated in the House of Commons a decade ago (Hansard, HC 12 June 2006, col 549). Dominic Grieve MP’s concerns that fraud by abuse of position was ‘too widely drafted’, and would lead to ‘a catch-all provision that will be a nightmare of judicial interpretation’ (Standing Committee B, 20 June 2006, col 25) remain relevant to what has resulted in sections 1 and 4 of the Fraud Act 2006. Does R v Valujevs shed new light on the principled operation of the offence? And is the Court of Appeal’s interpretation in line with concerns at the Committee stage to safeguard vulnerable categories of persons (Standing Committee B, 20 June 2006, col 26)? One of the key points to come from Valujevs is a decision on the meaning of a relevant ‘expectation’, in the stark absence of guidance from Parliament on this point. This form of the general fraud offence penalizes dishonest conduct, namely the dishonest abuse of a position, where a person has been expected by virtue of that position ‘to safeguard, or not to act against, the financial interests of another person’ (s. 4(1)(a)-(b) of the Fraud Act 2006). Moreover, a defendant must intend, by means of the abuse, to make a gain for himself or another, or to cause loss or the risk of loss to another (s. 4(1)(c) of the Fraud Act 2006). This begs the following question: whose ‘expectation’ is relevant? That of the defendant, the potential victim, or the reasonable person? The Court of Appeal is right to hold that it is for the judge and jury to decide whether a reasonable person would hold such an expectation (at ), though there remains the question whether judges can hope to produce consistency on this key issue (see Collins, 356). Also of interest is the Court of Appeal’s decision that there was a case to answer in relation to fraud by abuse of position on the facts of Valujevs, and the narrow grounds on which this is based. 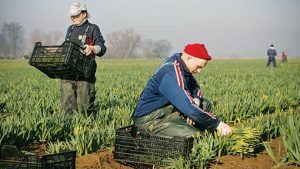 The defendants, Mr Valujevs and Mr Mezals, were unlicensed gangmasters who supplied agricultural work, transport and accommodation to migrant workers from Latvia and Lithuania. It was alleged that the defendants required workers to rent rooms from them as a condition of work, at rates far above the market cost. When workers were unable to keep up with these inflated payments, work was withheld. Once in significant debt, wages earned by workers were withheld or subject to deductions by the defendants in order to ‘pay back’ their financial debt. Fulford L.J. held that fraud by abuse of position should be left to the jury in this case, but not because the defendants held an expectation under section 4(1)(a) of the Fraud Act 2006: ‘Section 4 does not apply to those who simply supply accommodation, goods, services or labour, whether on favourable or unfavourable terms and whether or not they have a strong bargaining position’ (at ). Workers ‘are entitled to and expected to look after their own interests’, and gangmasters are ‘entitled to ask for repayment of moneys that they have lent to workers’ (at ). Rather, fraud by abuse of position should be left to the jury for two reasons. First, the defendants had assumed responsibility and control over what monies the workers were paid, and therefore any unwarranted deductions were problematic (at ). Second, because the defendants should have been licensed (section 4 of the Gangmasters (Licensing) Act 2004), and the applicable standards prohibit a gangmaster from withholding or threatening to withhold ‘the whole or part of any payment due to a worker for any work they have done’ (Gangmasters Licensing Standards (May 2012) 15). Accepting that not every instance of exploitation of persons in the labour market will justify criminal sanction, there is still a key question about the Court of Appeal’s restrictive interpretation of fraud by abuse of position for precarious workers. In principle section 4 of the Fraud Act 2006 does not demand such given that it involves a duty not to act against another person’s financial interests (see Collins 359-60). Related to this, to what extent can, or even ought, fraud by abuse of position be used to penalize those who exploit vulnerable groups of persons, such as undocumented migrant workers? Many criminal law commentators seem comfortable with theorizing fraud by abuse of position as a means of penalizing financial exploitation of the naïve and gullible, post-Hinks  UKHL 53 (see D. Ormerod and K. Laird, Smith and Hogan’s Criminal Law (14th edn, OUP 2015) 896-97). Valujevs prompts fresh debate about these issues, not only about what type of wrongful exploitation might merit a criminal law response (financial, sexual, labour? ), but also about when wrongful exploitation justifies criminal law censure and if so, how much (is an existing dishonesty offence fit for purpose?). Neglected to date has been an assessment as to the ‘fit’ between an existing broad property offence and wrongful exploitation of persons. Is a duty to safeguard, or not to act against, the financial interests of another person necessarily anything to do with core cases of exploitation? If targeting vulnerable persons is key to exploitative wrongdoing, does fraud by abuse of position fairly represent the nature of this wrongdoing (‘fair labelling’ is a notion familiar to criminal lawyers, see G. Williams, ‘Convictions and Fair Labelling’ (1983) 42 Cam LJ 85)? These issues call for further discussion. But consideration of the suitability of an offence to penalize exploitation ought not to be prioritized in the first instance. A principled approach first requires unpacking of what is meant by ‘exploitation’—an idea bristling with uncertainty—which is discussed in relation to fraud by abuse of position. Then the case for penalizing a particular type of exploitation of persons must be robustly defended as part of a wider liberal concern to not reach first to criminal law measures to respond to exploitation (see, for example, C. Costello, ‘Migrants and Forced Labour: A Labour Law Response’ in A. Bogg, C. Costello, A.C.L. Davies and J. Prassl (eds), The Autonomy of Labour Law (Hart 2015)). For these reasons it is welcome that Valujevs has rattled the assumption that fraud by abuse of position will be a ‘catch-all’ provision used to penalize serious interpersonal exploitation in the labour market.